The Coming Swarm | Yobot Inc. 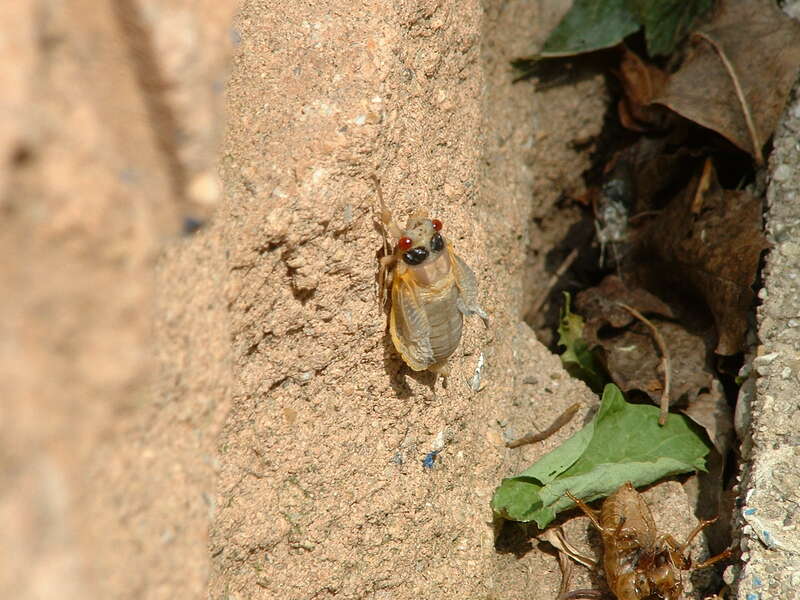 This is the year of the 17-year cicada in Illinois. You can read all about what they are and why they only come out every 17 years here. Or, here. The last time this happened here in the Chicagoland area, people had to use shovels to remove the cicadas from their sidewalks. The ground looked like it was vibrating, there were so many! My friends, who were around in Chicago in 1990, have sufficiently whipped me up into a cicada frenzy! Our first Cicada. It’s the red eyes that totally freak me out. Let me know if they are at your house too. Be afraid; be very afraid. I can still remember the sound of them crunching under my feet. I can still feel them pinging me in the head, and elsewhere, as I ran from the car into the apartment. I remember covering my ears and keeping my mouth closed.